A new UK trailer for Steven Spielberg’s The Adventures of Tintin has gone online. It’s become pretty clear by now that Tintin is his spiritual sequel to the Indiana Jones movies, not Kingdom of the Crystal Skull. The set-pieces on display look tremendous and I’m excited to see how they’ll play on the big screen as opposed to my computer monitor. I also applaud Tintin (voiced and mo-capped by Jamie Bell) for using every part of the motorcycle. I’m tired of wasteful bikers. Hit the jump to check out the trailer. The film also stars Andy Serkis, Simon Pegg, Nick Frost, and Daniel Craig. 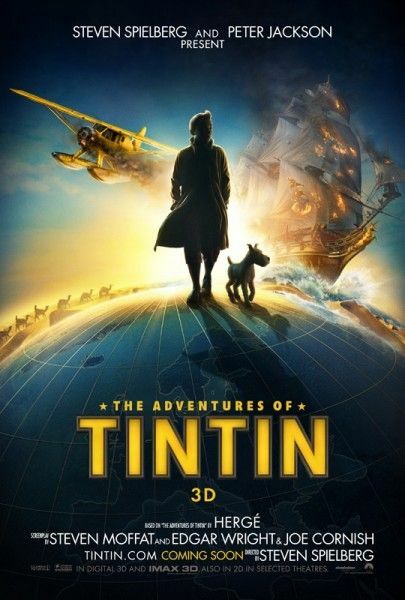 The Adventures of Tintin opens in 3D in the UK on October 26th and in the US on December 21st.